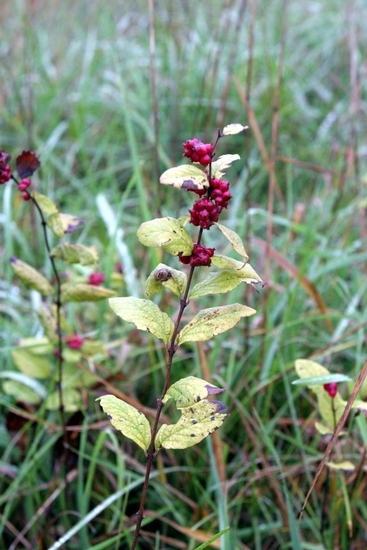 A low-growing perennial shrub with rhizomes and distinctive red berries that persist well into the winter. 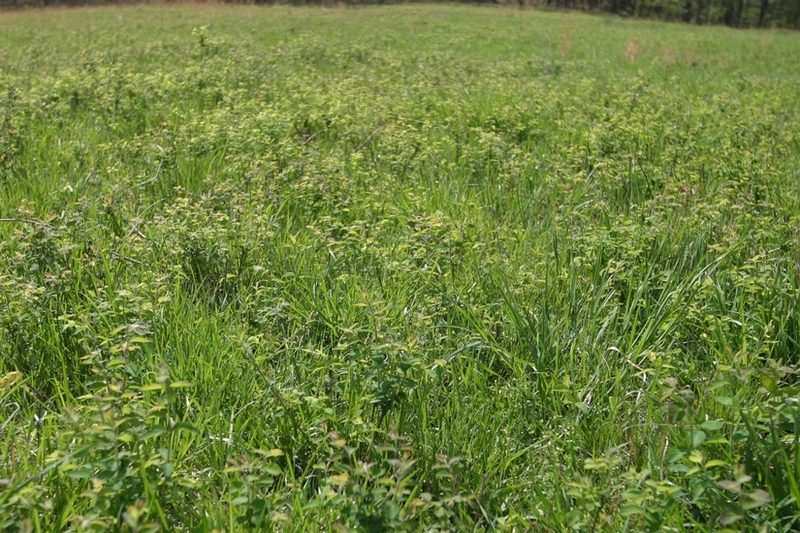 Coral-berry is a very common and difficult-to-control weed of pastures, hay fields, and roadsides that is found primarily in the piedmont and mountains of Virginia, Alabama, Mississippi, Tennessee, and Kentucky. Arranged oppositely along the stem, approximately 3/4 to 4 3/4 inches long and 1/2 to 1 1/4 inches wide. Leaves are oval-shaped to elliptical in outline with many soft hairs on the lower surfaces. Ranging from 1 1/2 to 6 1/2 feet in height but rarely more than 3 or 4 feet. Stems and twigs are densely hairy and become woody with age. 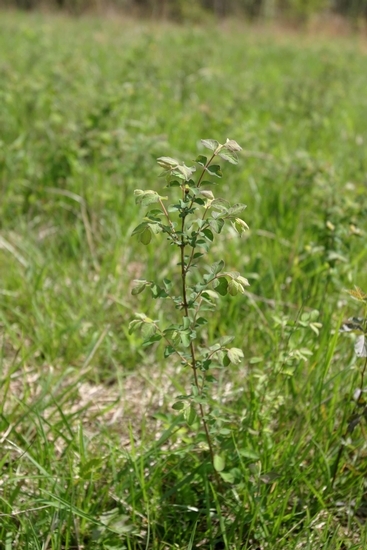 Occur as clusters in the positions between the stem and leaves (leaf axils). 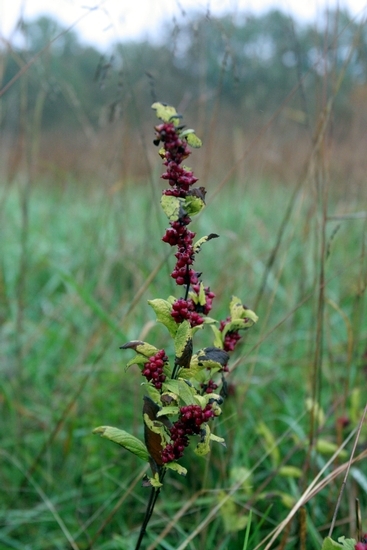 Flowers are greenish in color, small, and relatively inconspicuous. A round berry that is red to purple in color. 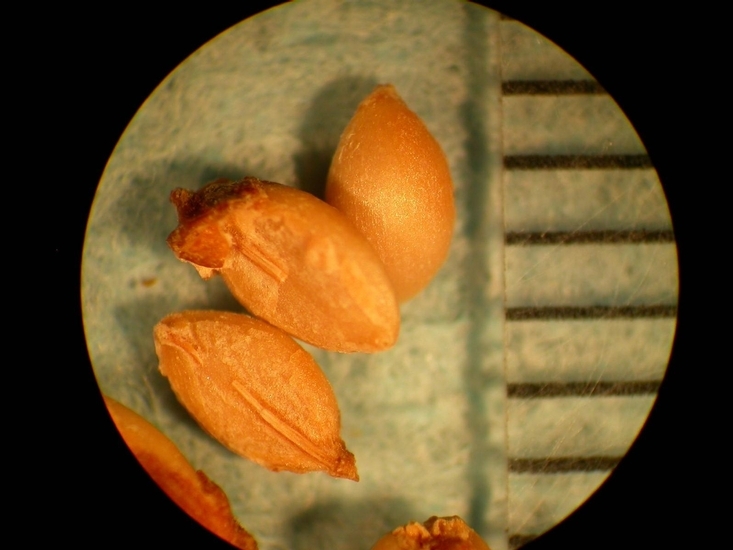 Berries are 5 to 8 mm long and persist well into the winter. A fibrous root system and rhizomes. 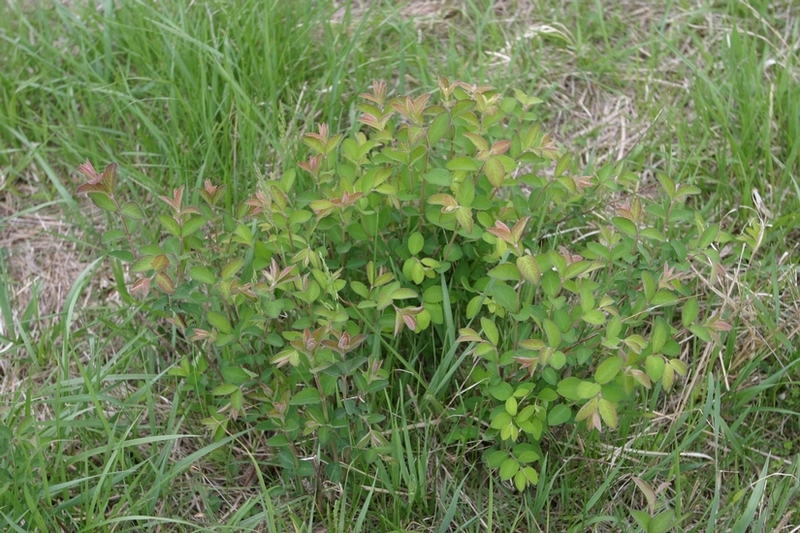 The shrubby growth habit, rhizomes, and hairy leaves and stems are all features that help to distinguish this weed from most other species that typically occur in Virginia pastures and hay fields. 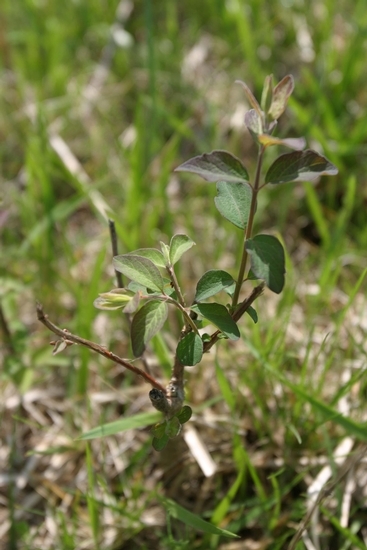 There are other Symphoricarpos species in the United States, but the only other species that might be encountered in the southeastern United States is snowberry (Symphoricarpos albus), which has much larger white berries.